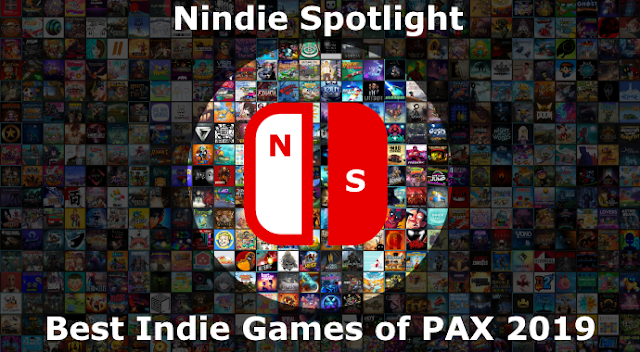 Finding a balance in creating a game that’s challenging but not tipping the needle too far too quickly I have no doubt is challenging. There’s absolutely now a community that lives for games that will frustrate them and push them to be better but doing it the “right” way seems a bit elusive, you want people to feel like they just need to execute better not so much that they were robbed. 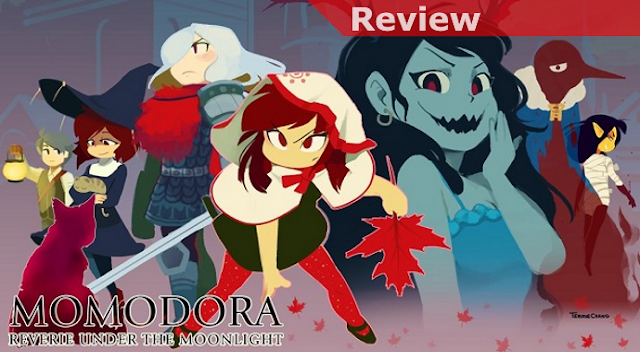 Momodora: Reverie Under the Moonlight is a title that struggles with this, having a lot of positives on its side in terms of visuals but too often feeling a bit cheap or abrupt with its challenges. 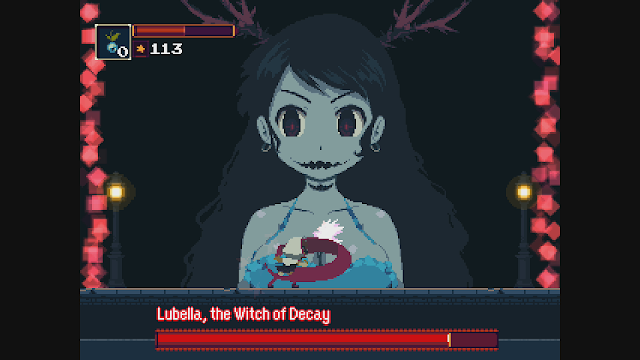 Starting with the positive the pixel art and character designs of Momodora are impressive. The environments and many characters are distinctive and have a consistently unexpected look to them. 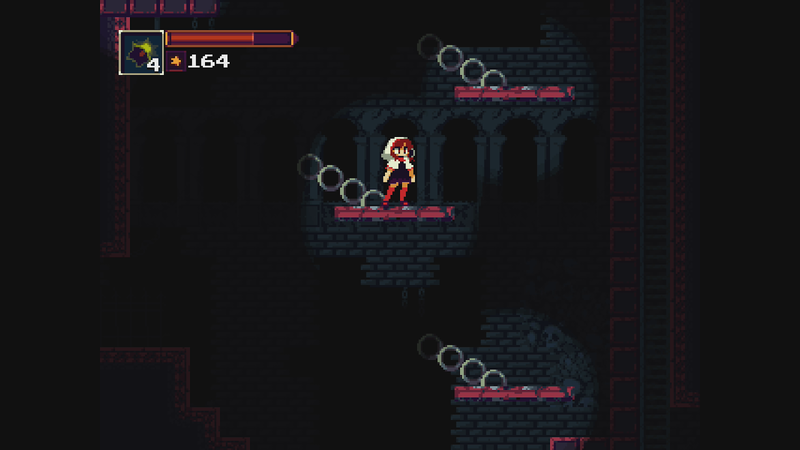 Once the game gets rolling you’ll find that the map opens up a bit and features some solid Metroidvania-esque exploration with puzzles here and there you’ll need to solve to get access to chests and some bonuses that will help you on your journey. You’ll certainly need to be prepared for a challenge when it comes to boss fights as even early on these can be pretty tough. Timing, positioning, and being very comfortable with the dodge roll are all essentials for success. 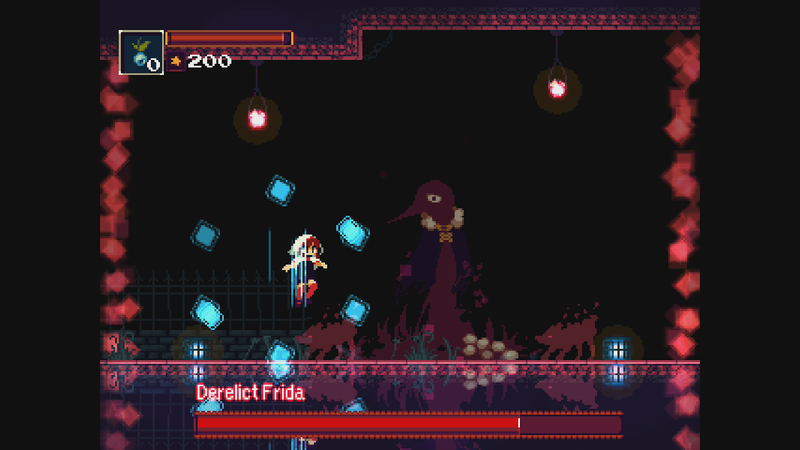 Where I’d say I saw issues is more when you’re exploring and facing more run-of-the-mill enemies oddly. You really take a lot of damage when you’re hit, almost to the point that a health bar seems like it was the wrong choice, that a 3 heart gauge or something else would be more appropriate. Trying to avoid getting hit can be fine but there are simply also too many enemies that get in cheap hits as well with aimed projectiles or from enemies that will suddenly appear. You can get through this but there’s a lack of joy and fun in this sort of combat, it’s just something to overcome. Something that shows up a bit more in boss fights that I had to adapt to is that your melee attack animation is a bit on the long side and makes you vulnerable if you time things poorly. Again, something you can adapt to but it makes your character feel a bit sluggish.